how you are going to leave behind dreary office hours by just swinging your leg up the saddle of your cruiser? enjoy picturesque ride from ocean to ocean on your touring bike? learning to ride a sport bike like Kenny Roberts or Valentino Rossi?.. Now back to earth. The State of California requires to pass a written test as a part of your licensing process. Let's get it done! And the quizzes below will help you to achieve this goal with maximum effectiveness. Don't waste your time learning basic road rules, get to the motorcycle theory right away. Like special rules regarding motorcycles, controls of a bike, correct steering, lane positions, staggered formation, lane splitting, head checks etc. 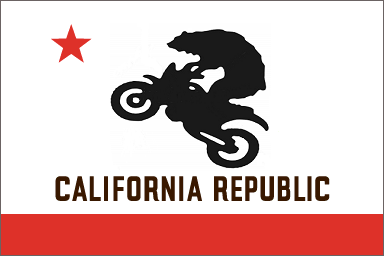 - all what's from California Motorcycle Handbook and needed for a Class M1 license! Advices, comments and questions from riding experts - all these and much more is in this site and the "California M1 Test Prep" mobile app available on App Store and Google Play.